Samoussas Taïlou is open every day, from Monday afternoon till Sunday lunchtime, at the same times as the shopping centre. It offers Creole aperitifs, sandwiches, samosas, bouchons, spring rolls, stuffed chillies, a range of fritters, and sugary Creole snacks life honey sweets, sweet-potato cakes, manioc or maize, millet sweets, etc. Eat in or take away. Food packs made up to be taken in flight or sent to Mainland France within 24 to 36 hours. 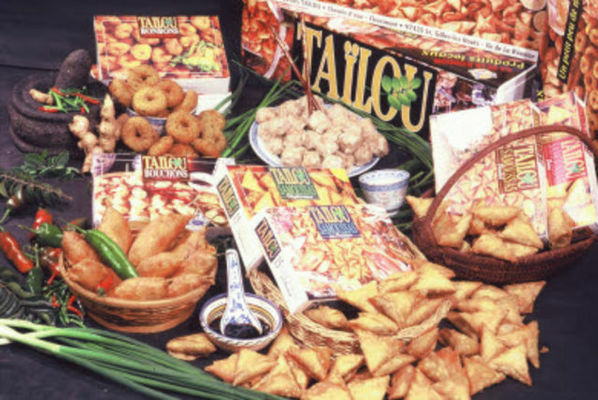 Samoussas Taïlou also offers a catering service to order for snacks (samosas, etc. ), as well as cooked dishes for receptions and other banquets. Environment / Access : Head for Saint-Paul, then take the exit for Savannah / Centre Commercial. The kiosk is at the entrance to the Jumbo shopping centre.